Our new 42 bed East Wing facility opened in August 2017. 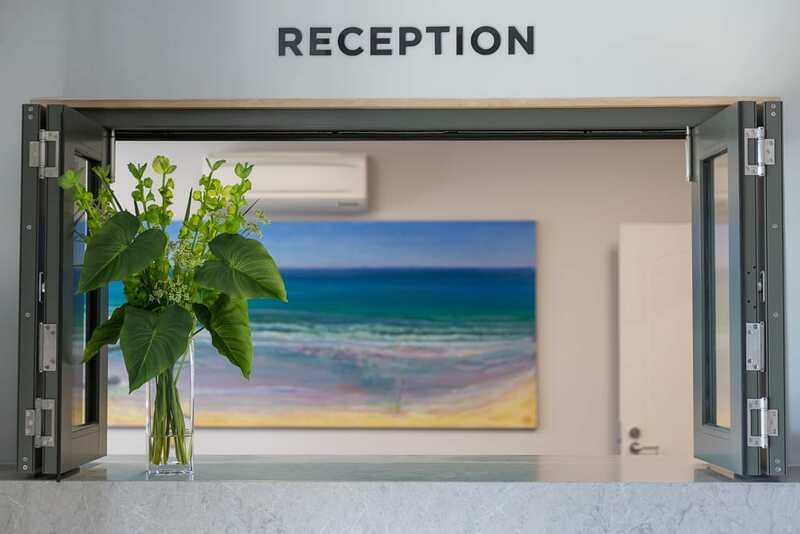 Walking into our reception foyer feels like that of a boutique hotel. A lovely vibrant decor greets you in a tranquil reception environment. As before in our West Wing, this stunning new decor was created by Ross Smith at Ross Smith Designs. 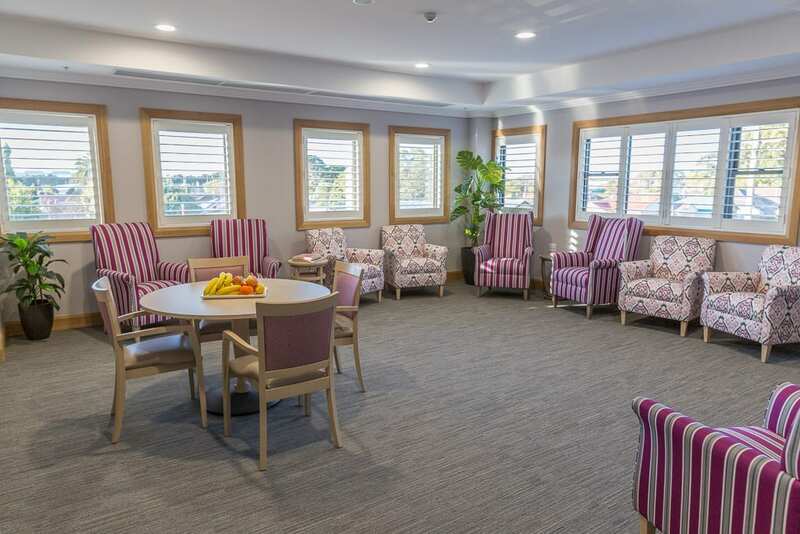 Our lounge rooms are lovely bright areas for our residents to watch TV, listen and watch musical DVD’s as well as catch up with other residents and enjoy morning and afternoon tea. There are ample books available on our shelves, as well as a dedicated Library Volunteer who helps residents with book borrowing from Newcastle Library on a regular basis. 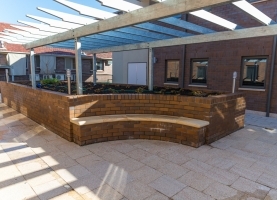 The activity areas provide a welcoming space for residents to gather and engage in conversations, hold resident meetings and organised activities. Residents take part in newspaper discussions, watch movies, enjoy paint and craft, as well as play bingo and housie. Our resident choir is very well attended, as is the popular interaction with a local preschool, whose children visit regularly. Stunning in colour and light, the Dudley lounge showcases our beautiful grand piano. 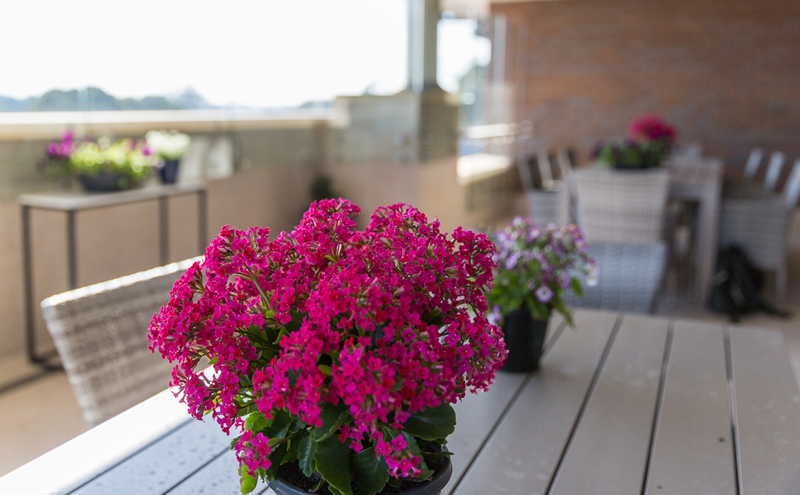 We are extremely fortunate to have on our staff a talented pianist who performs regularly for our residents. 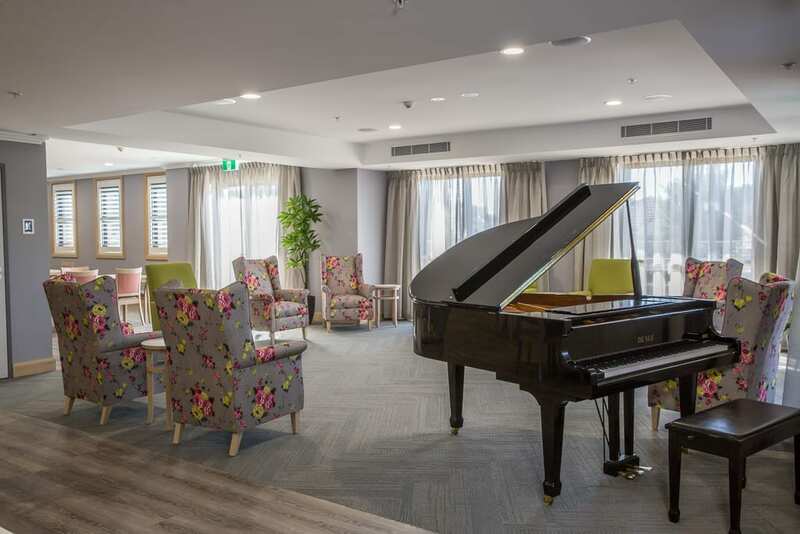 A variety of other entertainers visit the facility and keep residents toes tapping in time to the music as they go down memory lane. 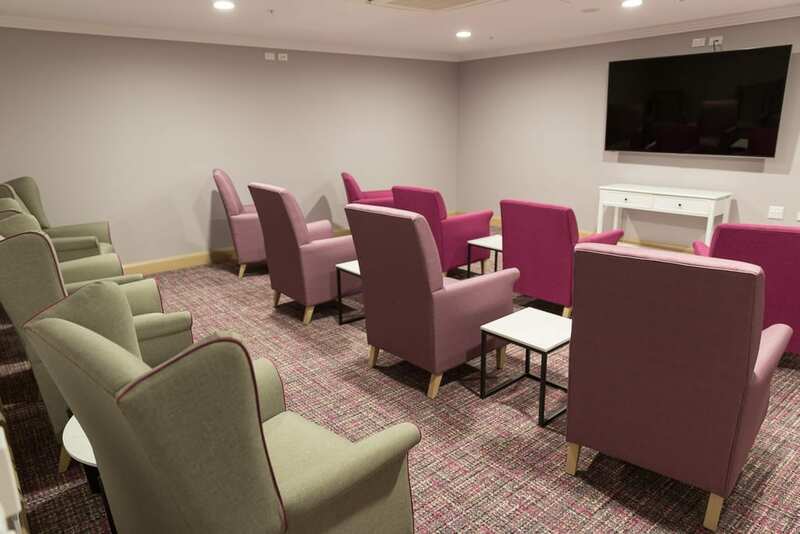 A new addition to our facility, the media room allows an enclosed space for movie watching that includes a hearing loop for those hard of hearing. 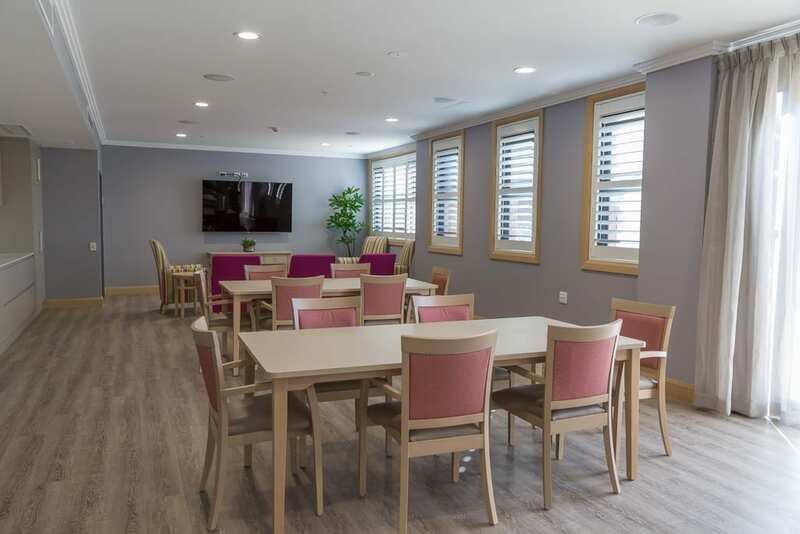 This multipurpose room will be also be utilised for resident ‘Focus on Health’ interactive discussions, group meetings and entertainment, as well as staff education. 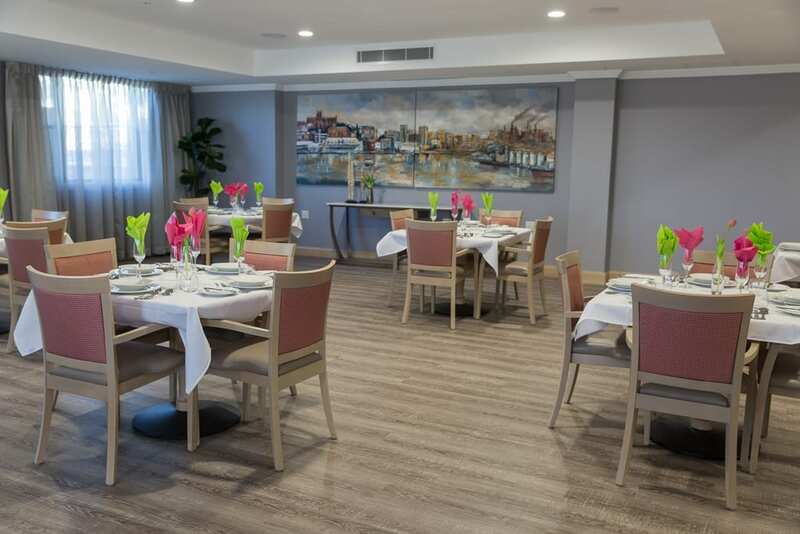 Chef prepared meals with an optional beer and wine are enjoyed by residents in the colourful dining area. 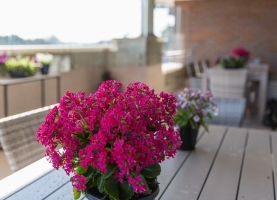 We welcome families to join our residents for a meal by arrangement with our staff. You can carry on the traditions of the past which can be as simple as an enjoyable restaurant style family meal. 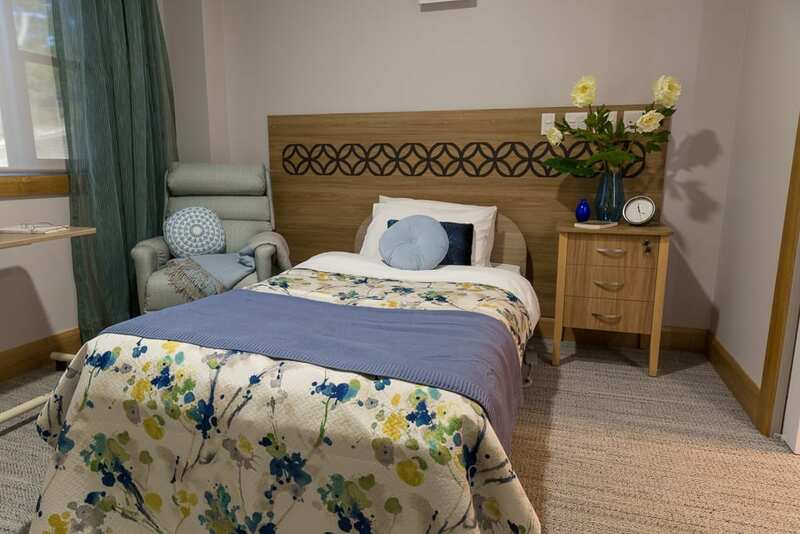 Resident’s rooms are furnished with a height adjustable king single bed, ensuite, bedside table, electric chair, visitors chair, TV with Foxtel, telephone, Wifi, refrigerator, shelving and wardrobe. 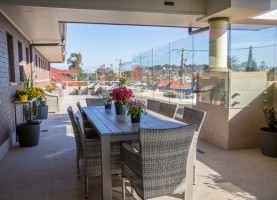 Residents and families are encouraged to bring in suitable furniture and trimmings from home to place their own stamp on their comfortable and stylish haven. 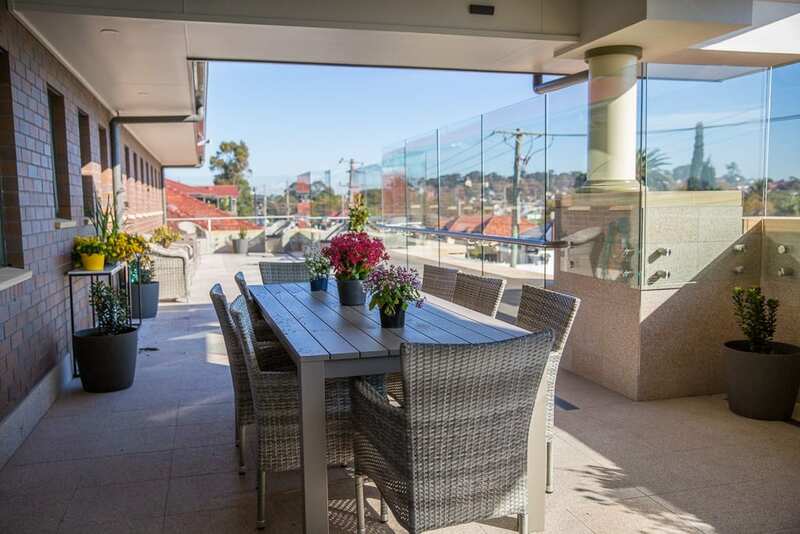 Enjoy views over the residential areas of Mayfield – including parklands and the suburb’s historic date palms. 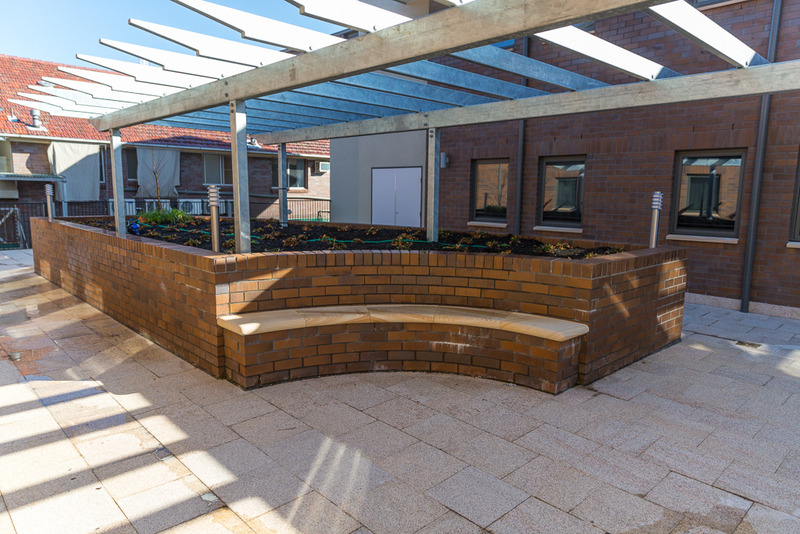 Our East wing has easy to access outdoor garden areas via automatic doors, where residents can catch up with families in the fresh air and sunshine.